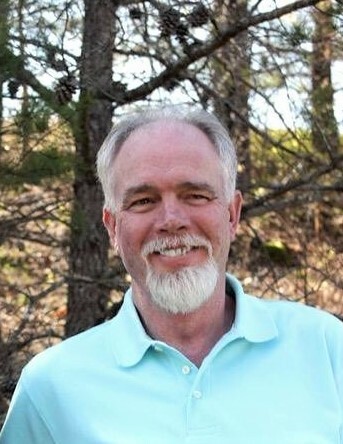 Mr. Donnie Ray Gray, age 61, departed this life on Saturday, March 30, 2019 at his home in Tyner, Kentucky. He was the son of Denver and Estelene (Gambrel) Gray, born to them on November 8, 1957 in Pineville, Kentucky. Donnie loved hunting, fishing, horses and four wheelers. He was preceded in death by his father Denver Gray and brother J.B. Gray. Left behind to mourn his passing are his loving mother Estelene (Gambrel) Gray, wife Joyce Gray, daughters Gerald Gray and husband Timothy Smith of Barbourville, Kentucky, Donyia Sameck and husband Jacob of Jacksonville, Florida, Whitney Johnson and husband Jordan of London, Kentucky, Tasha Webb and husband Justin of Jackson County, Kentucky, Anna Hays and husband Wendell Cole of Jackson County, Kentucky, son Jarvis Norman and wife Nancy of Jackson County, Kentucky, grandchildren Haley Norman, Jayden Norman, Ally Cole, Cameron Cole, Tiffany Bruin and husband Brandon, Rebecca Brown, Monica Brown, Jacob Sameck, Jr., Chandler Johnson and Reece Johnson, and Paisley Johnson, great-grandchildren Jessica Bruin and Keaton Bruin, brother Dallas Gray and wife Gail, and sister Sheila Sharp and husband James and special nephew Jeffrey Wayne Gray. He is also survived by many relatives and friends to mourn his passing. Funeral services for Mr. Donnie Gray will be held Wednesday, April 3, 2019 at 1:00 p.m., with Reverend Charles Bright officiating, in the Cobb-Hampton Funeral Home Chapel. Burial will follow in the Henry Mills Cemetery at Road Fork in Stinking Creek, Kentucky. Cobb-Hampton Funeral Home is in charge of all arrangements. Friends will be received at the funeral home Tuesday, April 2, 2019 from 6:00 p.m. – 9:00 p.m. and Wednesday, April 3, 2019 from 11:00 a.m. – 1:00 p.m.